1.4 PS: We have also done other experiments with this part and got good results after the wiki freeze. However, due to the freeze of the wiki , it's a pity that we can't upload new pictures on this page now , we will update right after the wiki open. And all our results can be found in our poster. 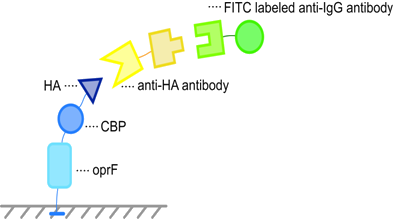 We have got the evidence of SDS-PAGE and immunofluorescence assay, which confirmed that the recombinant protein oprF-GS(linker)-CBP can be expressed in high level and successfully anchored on the cell membrane in our engineered bacteria. Then, we further investigated its capacity to absorb Cu2+ when incubated in Cu2+-rich environment. Samples of culture medium in different stages was collected and assayed to identify the Cu2+ concentration using BCO method (see more detail of BCO method). The complexation between Oxalic acid bis-(cyclohexylidene hydrazide) (BCO) and Cu2+ will be triggered when the pH reaches to 7~9 and generates a kind of blue clathrate, of which the absorbance at 600nm is linearly correlated with the concentration of Cu2+. It's a generally used method for the determination of trace amount of Cu2+ in polluted water. We chose pH 8.8 for reaction. After treated with copper ion solution for 12 hours , we take our bacteria out of the tube and get it pelleted .It shows a significantly different color with the control group, and this difference becomes even larger when treated with BCO method , our result picture can be find in this address:http://pan.baidu.com/s/1gdGeU7T .This indicates the bacteria with the oprF-GS-CBP part has a great ability to collect the copper ion from the sewage. 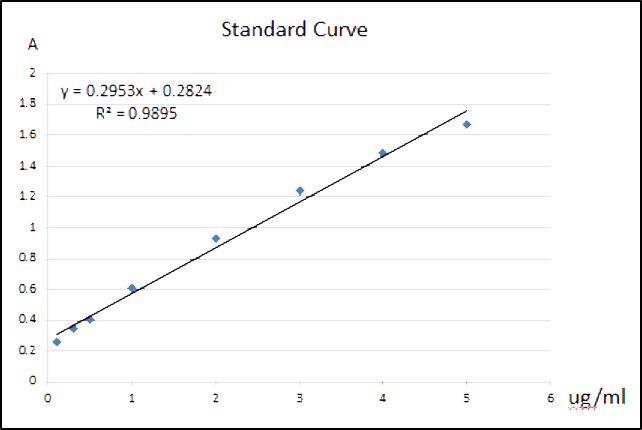 Growth curve of normal bacteria carrying vector in culture environment with or without Cu2+. 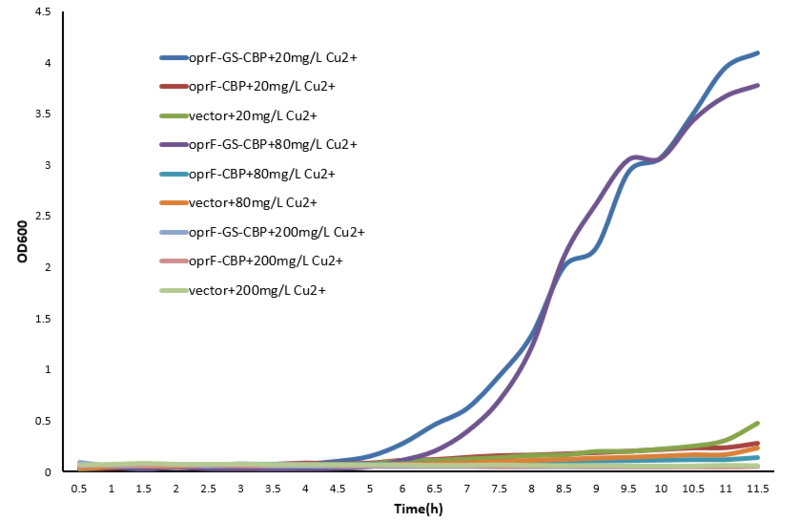 Growth curve of bacteria carrying vector/oprF-CBP/oprF-GS-CBP in culture environment with different Cu2+ concentration. 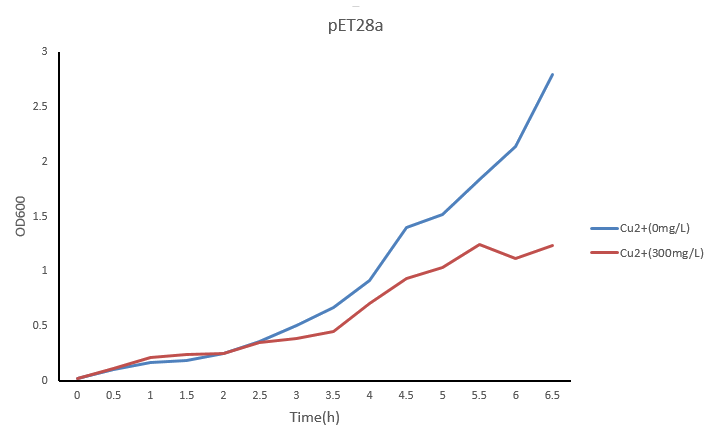 Contrary to our expectation, the growth of bacteria carrying oprF-CBP grew as normal as control bacteria carrying pET28a vector in Cu2+ environment. The possible reason is that fusion-expressed CBP and oprF are so close to affect the function of CBP. Without CBP capable of binding to copper ions, the E. coli carrying oprF-CBP loses its tolerance of high concentration of Cu2+. Meanwhile, the expression of heterologous protein reduces the competitive advantage of our transformant. 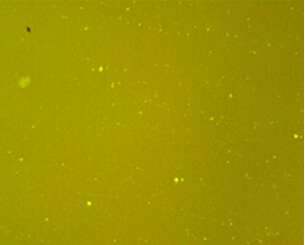 These two mechanisms work together to result in the slow growth of E. coli carrying oprF-CBP. To cope with the problem, we added a GS-linker between oprF and CBP to reduce the spatial interaction. We were very excited to see that our method works! The growth of E. coli carrying oprF-GS-CBP is significantly and consistently better than that of E. coli carrying oprF-CBP or pET28a vector. 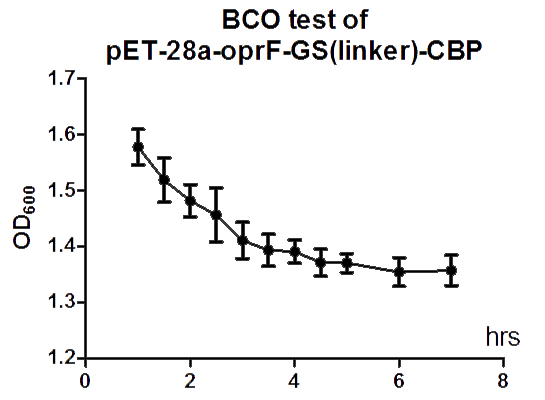 It proves that 1) a GS-linker is necessary for the normal function of CBP when expressed as a fusion protein with oprF; 2) our oprF-GS-CBP motif can effectively increase E. coli's the tolerance of Cu2+. PS: We have also done other experiments with this part and got good results after the wiki freeze. However, due to the freeze of the wiki , it's a pity that we can't upload new pictures on this page now , we will update right after the wiki open. And all our results can be found in our poster.